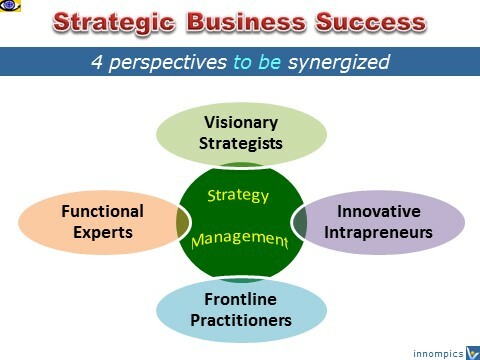 To be successful in → today's complex, rapidly changing and highly competitive world, you must embrace, manage and → synergize critical opposites. "An important but widely overlooked principle of business success is that integrating opposites, as opposed to identifying them as inconsistencies and driving them out, unleashes power," writes Mark Stevens, the author of Extreme Management. "This is true on both a personal level (the balanced manager is more effective than his or her peer at one end of the control spectrum) and on organizational level as well... On an organization level we accept the existence of hard and soft dichotomies because this binary perspective helps to rationalize personal styles, viewpoints, and structures. Polarized thinking is simplistic and misleading. 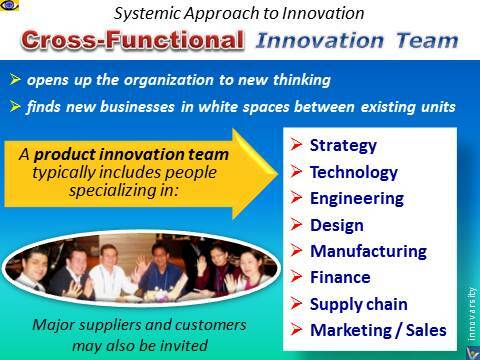 In the business world, ideal approaches are generally painted in gray as opposed to black and white." You can inspire → innovation and find a strategic → competitive advantage in an organizational and cultural context by seeking to leverage, rather than diminish, opposite forces. People with different → cultural, educational, scientific, and business backgrounds will bring → different frames of reference to a → problem and can spark an exciting and dynamic cross-pollination of ideas. "Integrated diversity" is a term used by → Jack Welch, the legendary former → CEO of GE, to define a synergistic learning culture. 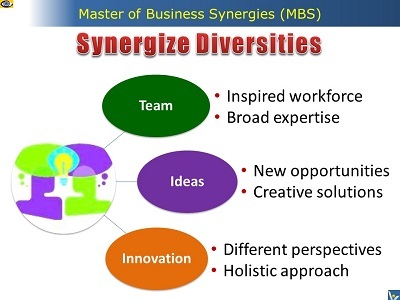 Integrated diversity means the drawing together of our different businesses by sharing ideas.